It is 2019 and I am so excited to start a new year with the podcast! As I started to think about 2019, I turned to some wisdom from my friend Kat Gordon of Muddy's Bake Shop. Last fall, I had the awesome privilege of hosting the Positively Create Summit. 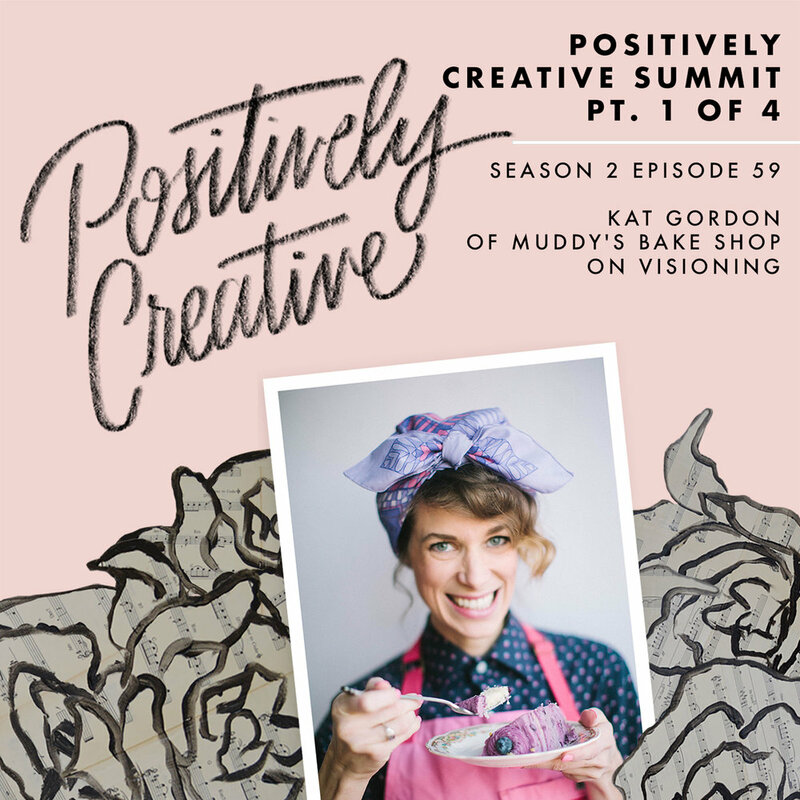 Kat shared a bit of her story and the power of visioning at the summit and I'm excited to share it now with you! The Positively Creative Summit and the Positively Creative Workshop Series are a partnership with Memphis College of Art and Rising Tide Society Memphis Chapter. Today is a recording of a panel discussion for Rising Tide Society on systems, automations, and workflows.. Thanks to HIllary Butler, Holly Whitfield, Gina Davis, & Rising Tide Society for making this episode possible! I hope this panel helps you create some systems and workflows that work for you! Special thanks to ARCH’d for the cover photo. 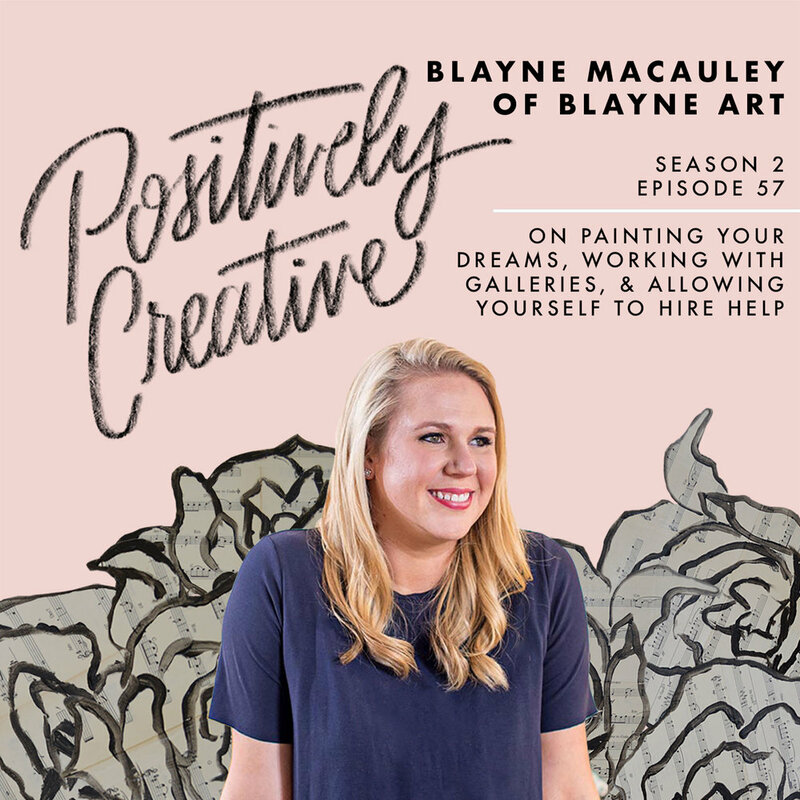 Blayne Macauley of Blayne Art is on the show today. 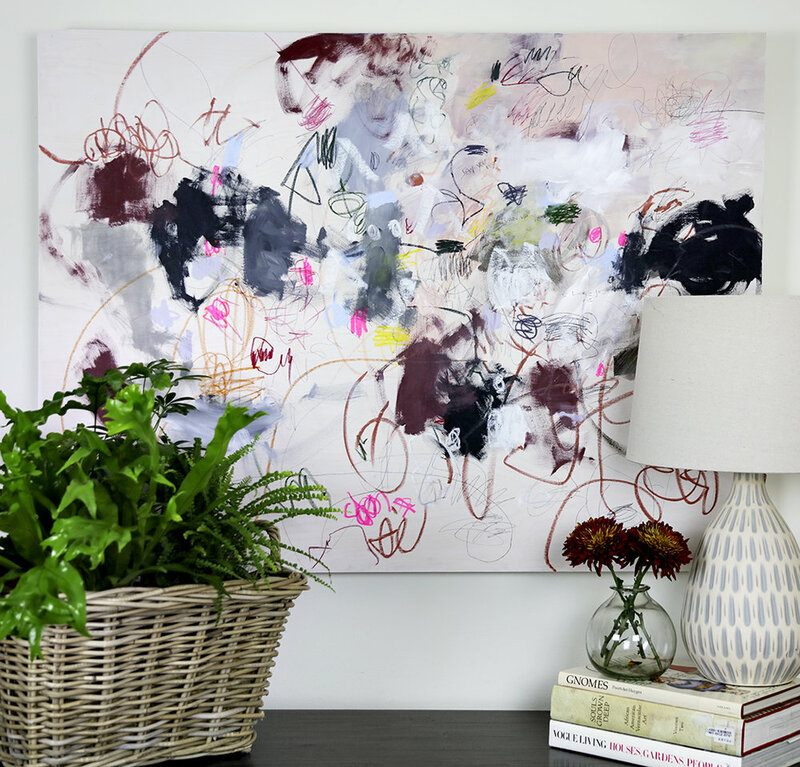 I loved our conversation about how she paints her dreams and the way clients interpret her paintings. We also chat about working from home, hiring help and what it's like to work with galleries. My work explores those certain moments that shaped and defined my life. Each impactful moment is distilled down to one image (basket, swing set, kite, man with a crown). With those symbols I've created a visual language that I can use in different ways and allow them to interact with each other. Those interactions represent the malleability of memory, and how my current life perspective impacts my perspective on the events of my past. Today is a recording of a panel discussion for Rising Tide Society on craft fairs. Thanks to Epicenter, Memphis Slim Collaboratory, IV, Riverside 1844, ARCHd, & Rising Tide Society for making this episode possible! I hope this panel helps you gain some insight as you start participating in art and craft shows!